Normally it takes 2-4 working days to North America and Europe,and 4-7 working days to Africa countries. 100% money back guarantee on each item! Please contact us within 24 hours upon your receipt of the item(s).A refund including P&P will be rendered in the event that the item(s) is not as described.The refund will be rendered once the item(s) has been sent back in original state,haven't used & cut yet. TIPS: All the pictures show on the website link are took by ourselves, all different units cannot be exactly same. Also, the light difference and show on different screen the color might have some kinds difference as well, looking forward your understanding in advance. thanks. •Howmuch hair do I need? •how to measure hair ? 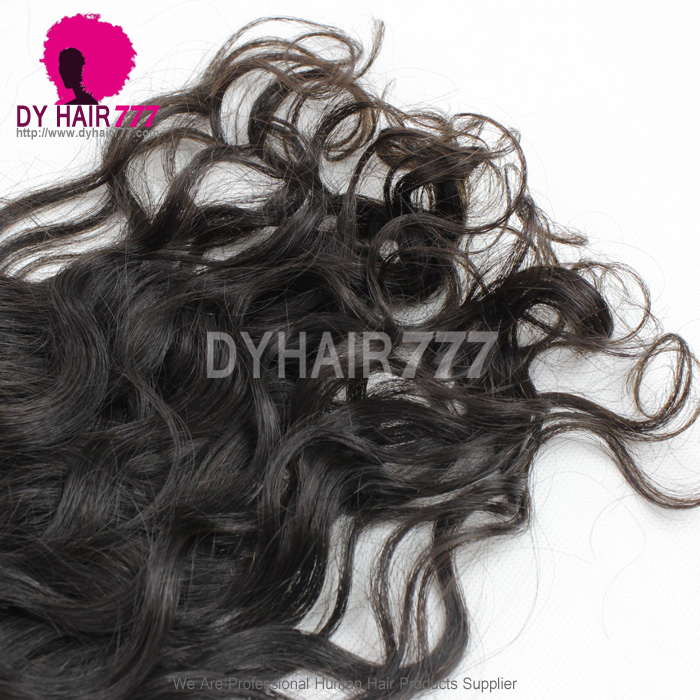 when do measure the wave or curly hair length, please straighten the hair to do measure it. •How much does each bundle weight? 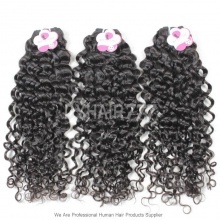 Each bundle is weighted between 3.2-3.5oz. around 95-100gram. 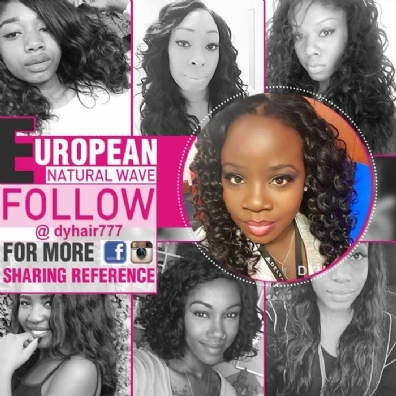 •Does the hair appear natural? Yes, very! The wind could blow; someone could touch your hair, swim, sauna, and spa. 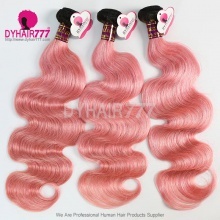 It is incredible and the hair is as light as a feather, no one will even know you have hair extensions. 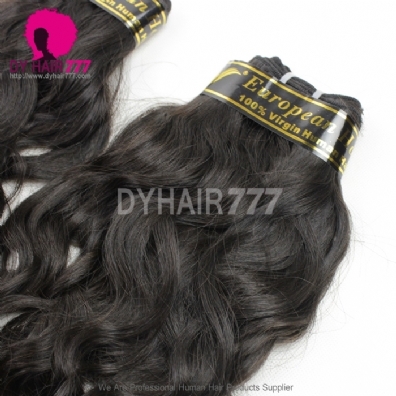 Any hair that has been manufacture to be stitched on a weft is entitled to experience minimum shedding which is absolutely normal. 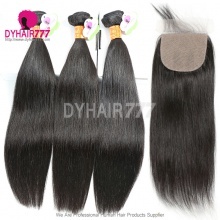 Minimum shedding meaning (the hair will be never have a noticeable or drastic decrease in its density or volume. However, proper maintenance is extremely important and advised. •Can I color this hair? 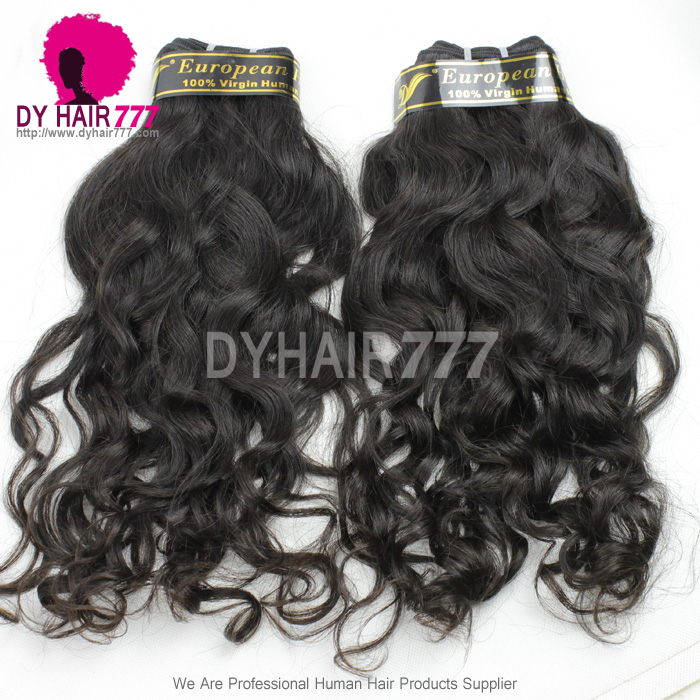 Yes, this is 100% virgin human hair that is not processed in any way. 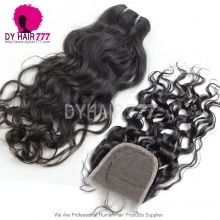 So you can color the hair, once virgin hair is treated in any way, it is no longer virgin, and therefore we recommend that you color or process your Brazilian hair by a professional way. •Do I have to do anything special when I do comb? We advise that you comb your hair every morning. 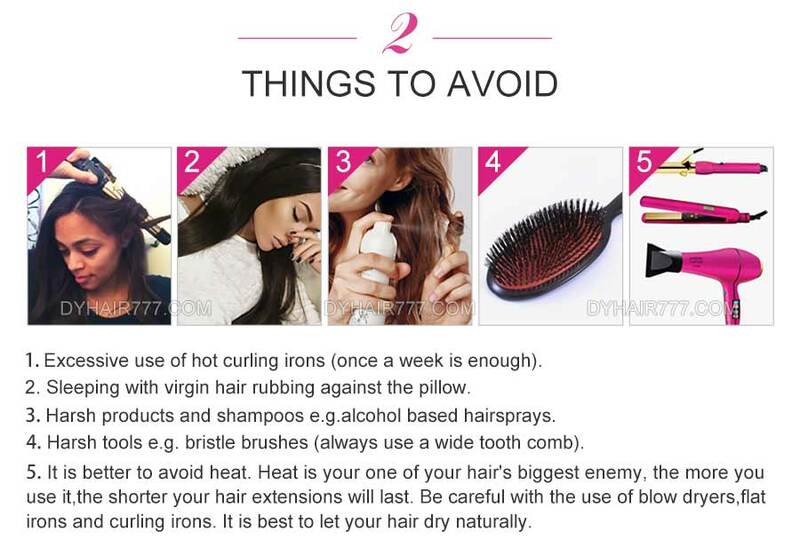 Gently brush your hair from the ends towards your scalp. Starting from the ends keeps the pressure off the weft area and is a good way to maintain the longevity of the extensions. •How often can I wash my hair? As often as you like, once a week at least. •What type of hair care products should I use? Treat this hair like your own hair. Use your local good quality shampoo and conditioning products. Conditioning your hair is very important to keep it soft and manageable. 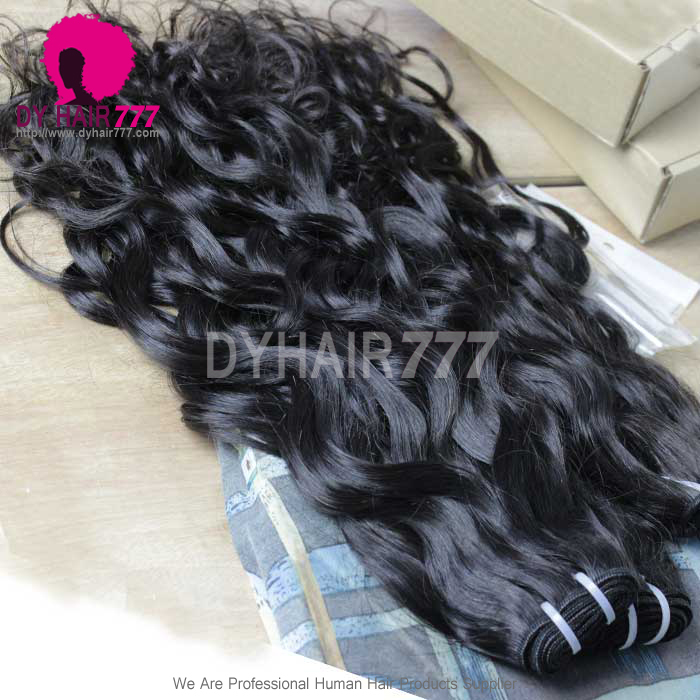 We recommend using a deep conditioner on your virgin hair once per week, but avoid using oil or heavy styling products. •How long does the hair last? This hair can last for a very long time depending on how you maintain it. 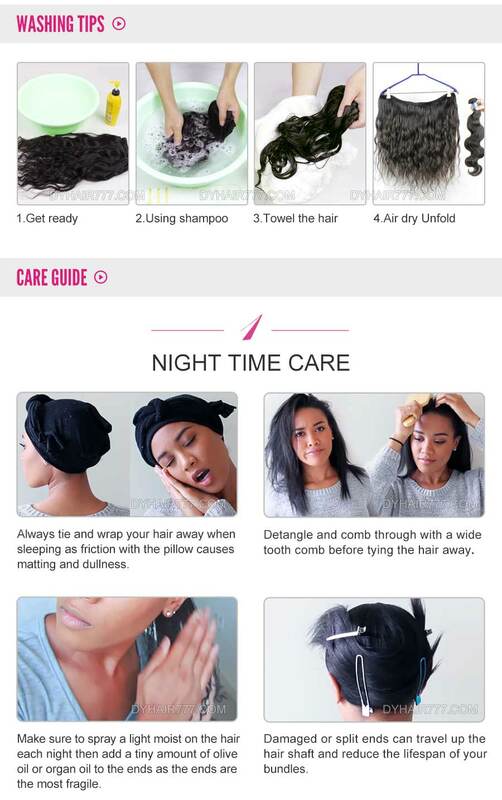 Treat it like your own hair and take good care of it and it will last longer. Depending on maintenance, hair will last 6 months to a year. •What is the definition of Virgin & Remy? “Virgin” meaning guaranteed to be unprocessed, free of any hair color or chemicals; retaining all cuticles in its original healthy state. “Remy” meaning all cuticles of the hair are guaranteed to be in the same direction. This means no more hair tangling problems. • Caring for Virgin Hair is no different from caring for your natural hair. 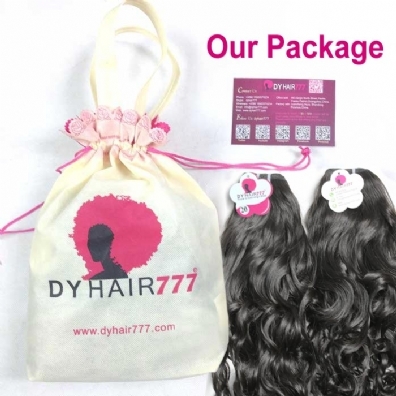 Our Virgin Hair is the closest you will find to your natural hair. Any further questions please contact our customer service Email box: info@dyhair777.com. we are always here at your service.